Highly researched, creatine monohydrate has been shown to support muscle strength, power, and size when combined with high-intensity activities. 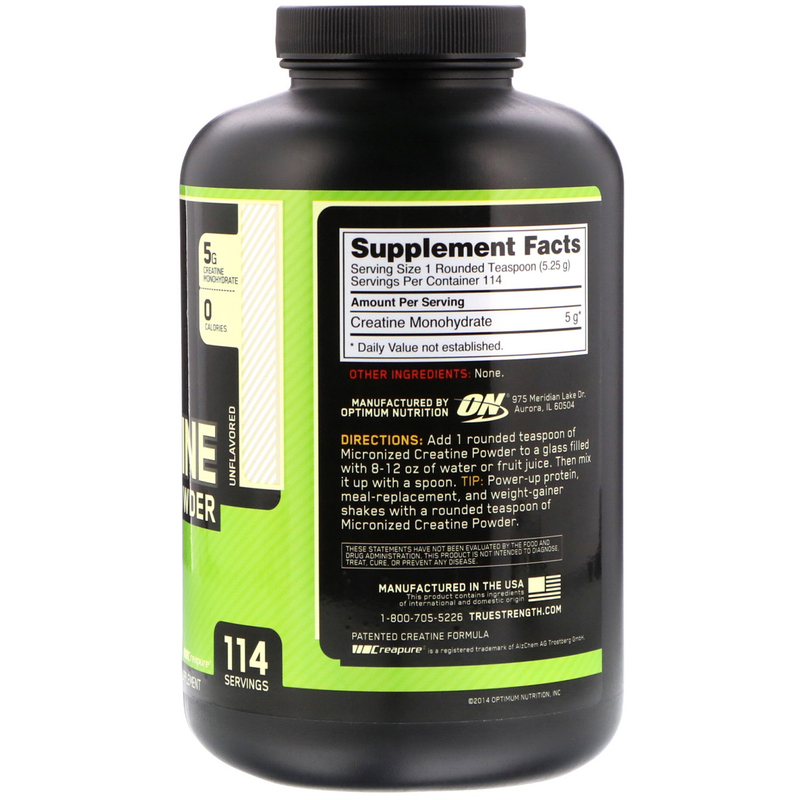 Our Micronized Creatine Powder is made with Creapure, a creatine monohydrate known for its exceptional purity. It's also micronized (to make the particles smaller), so our powder mixes easier and stays suspended in liquid longer than non-micronized creatine supplements. 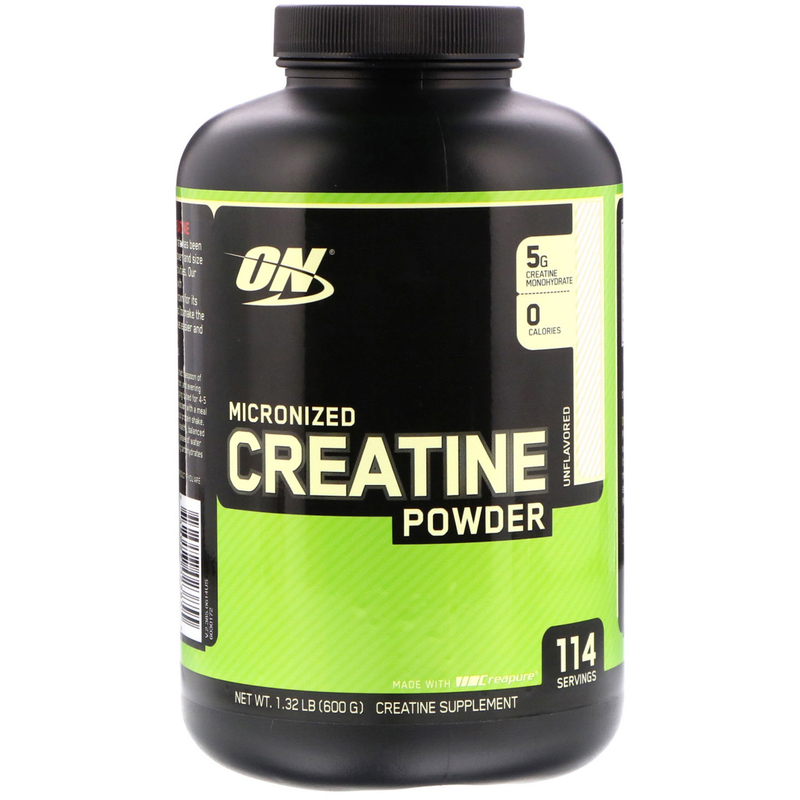 Add 1 rounded teaspoon of Micronized Creatine Powder to a glass filled with 8-12 oz of water or fruit juice. Then mix it up with a spoon. Tip: Power-up protein, meal-replacement, and weight-gainer shakes with a rounded teaspoon of Micronized Creatine Powder. Creatine Loading: Take 1 rounded teaspoon of Micronized Creatine Powder with morning, afternoon, and evening meals and 1 additional rounded teaspoon before going to bed for 4-5 days. Creatine Maintenance: Take 1 rounded teaspoon with a meal or immediately after training with your post-workout protein shake. Intended for use in healthy adults and as part of a healthy, balanced diet and exercise program. Tips: Drink at least 8 glasses of water daily when supplementing with creatine. Consuming carbohydrates helps with muscle retention of creatine.